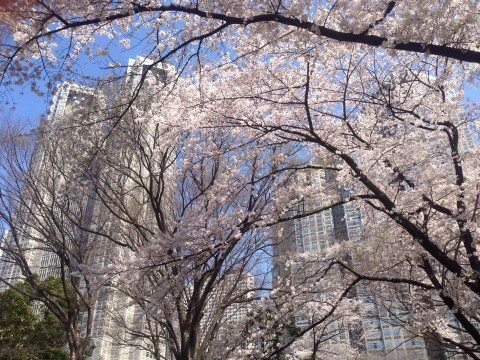 *Sakura series & update* – The sakura flowers are now in full bloom in Tokyo! Shinjuku Central Park located near the Tokyo Metropolitan Goverment Building. Enjoy both the cherry blossom & the splendid view up the observatory deck of the two tower of Metropolitan Government Building.